I am so excited to share a card that I made using one of my favorite sets from Taylored Expressions called Under the Sea. I love the fun under the sea animals and fauna (is that a word for under the sea..?! hmm :). 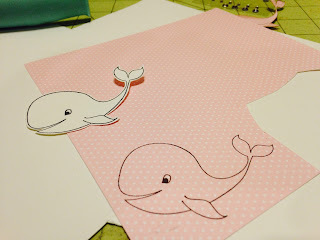 I did some fun paper piecing on the sweet whale image using the Hello Happiness paperpack - I love this little whale - isn't she so cute?! I stamped the whale onto the pink DP as seen here. I also stamped the whale on some Sugar Cube cardstock and die cut it out using the coordinating Under the Sea dies. I then adhered the whale on top of the die cut Sugar Cube cardstock so that it would be a little firmer and hold up better long term. 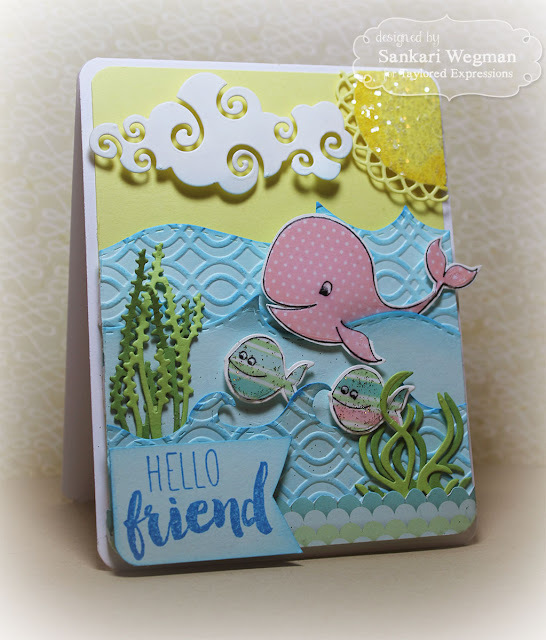 I just LOVE how this turned out - it was so much fun to create this underwater scene with some paper piecing and lots of dies :) !! What an adorable card. So fun too! Love all the layers and designer papers. This is darling. Well done. Wow this is an awesome card!! I love the dimension and very cool scene you created!! It's heavenly stunning! I like it so much! Excellent work, really. I'm envious:) How much time did it take you to do this, by the way? Was it difficult? Hope to hear from you soon.